She’s been asking for her own room for more than a year. She’s always shared a room with Elea and they’ve been so close over the years that they’re almost like twins. I couldn’t stand the thought of them being separated. So, I put her off for a while. And I put her off some more. We had an extra room over the garage that we used a craft room and it happens to be connected to the girl’s bedroom. She wanted to move into there and then she could still share space and a bathroom with her sister. I finally ran out of good reasons why she shouldn’t do it, and when we gave up homeschooling, it seemed like the right time to start working on her new tween/teen room. The winds of change were blowing and I wanted her to know I was listening. This project took all summer and we were intentional and slow with the renovation. Packing up a craft room is no walk in the park, but she and her sister decided they would do it themselves. I’m a displaced, gypsy crafter now, still looking for a home for my wares, but we love the new arrangement and it’s become one of my favorite rooms in the house. We started a Pinterest board so she could pin spaces she liked. She wanted a chalk wall with an otherwise pink room, different shades of red and pink in the decor, and space to be able to dance. 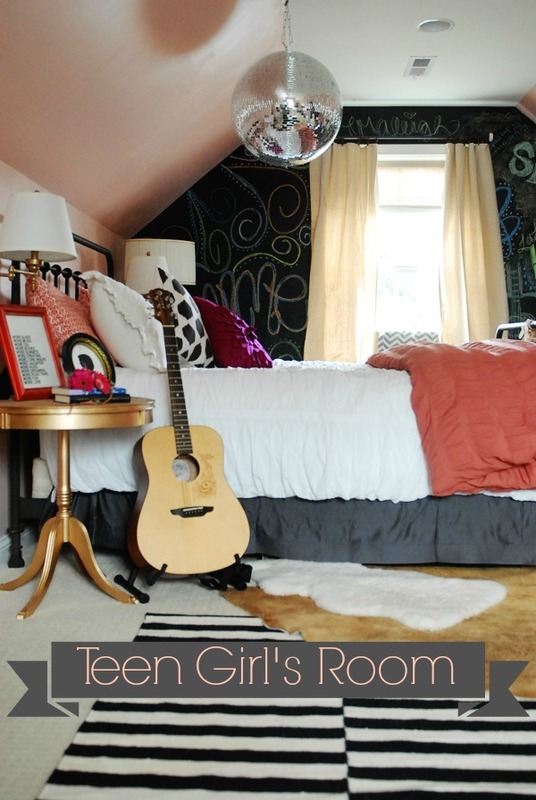 I’ve done a teen girls room before , so I knew I wanted to give her something to grow into—inspiration for her changing mind and body, space to breathe and dance and be, and healthy ways to express herself and blossom into a beautiful young lady. Here are the elements I thought were important in making this room a place to grow and thrive. 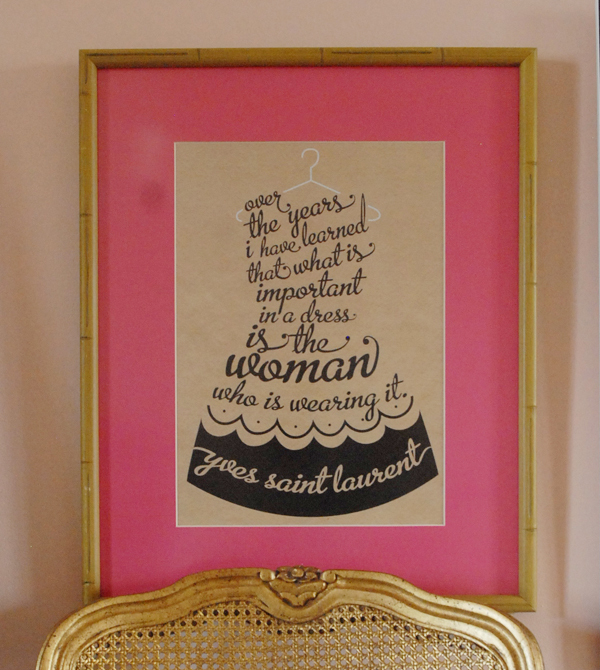 We loved this print from Blimp Cat and bought the frame for $2 at a thrift store and had it framed at Hobby Lobby. I RARELY buy frames from anywhere but thrift stores. They’re so cheap and you can repaint or repurpose them however you want. This room had terrible lighting, with only a few can lights in the ceiling. We added a cheapish chandelier from Lowe’s and then two bedside sconces. For most everything else in the room, we skimped and borrowed things from the house or shopped in thrift stores. But the money we invested in the lighting was so well worth it. It changed the room completely. (Side note: We bought this dressing vanity at the room of requirement and Emme sanded and repainted it herself. With a little help from mom, of course. We LOVE how it turned out and it is always chocked full of girly goodness. The room should reflect the girl. Let her hobbies and passions shine. Our Emme is a great little dancer, so we use her point shoes, photos of her dancing, and a tutu to decorate the room. She wants to learn to play guitar and got one for her birthday so we got a little stand so it’s easy to pick up and strum. There are two disco balls in this room and one of them is huge and hangs over the bed. It’s epic, that’s all I can say. There are foo dogs and antlers and bedazzled busts. The room has personality and is uniquely hers. Did I say it’s quirky? She wasn’t so sure about hanging the disco ball, but who could resist it once it’s up? We didn’t sacrifice function, but we made the room work for us AND be pretty. 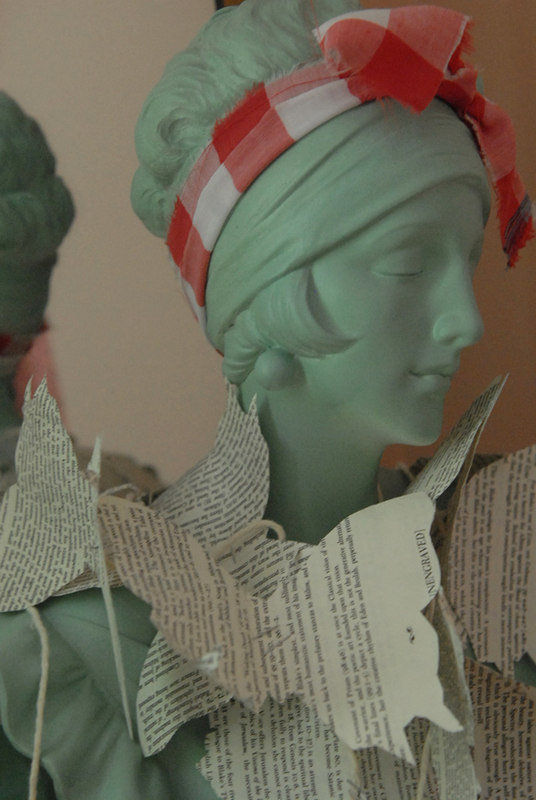 Every girls needs a dressing vanity and you can do wonders with thrift store finds. This vanity was $50 and we spent $10 on paint and $20 for new pulls. So, for less than $100, we have this beautiful, functional, and vintage vanity. And every room needs more oxygen, right? I love decorating with plants. I was in Anthropologie and saw their canvas covered pots, so I decided to embellish the heart plant with a painter’s drop cloth and add it to her room. Live plants do something magical to a room. They teach so many life lessons, too. Give your tweens and teens all the tools they need to express themselves. Because they will express themselves, somewhere, somehow. I’ve spent hours in this room already and my fingerprints are all over it. I want her to know that I’m here. I want her to feel my presence and my spirit in this room. I’m not going anywhere and though these years will have their challenges, I want her to know that I’ll walk with her the whole way. I’m in her corner. As she stands on the verge of this precipice, I want to plant myself firmly in her heart and life. Sources coming on Monday. Right now, I’ve got a car full of girls and red tutus ready to head to Nashville to see Taylor Swift. I may never recover. Like Ever. Super cute room!! It has so much personality Great job. Love everything about it. The room is really lovely! Where did you find the cute bamboo desk chair? “Like ever.” That was my favorite part of this post. 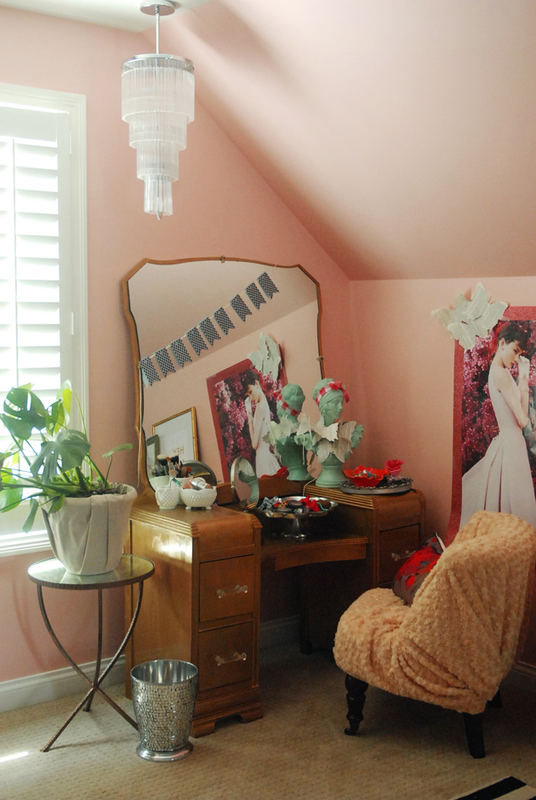 That room is a any girls’ dream come true though. Seriously. 25-year-old salivating at that room, here. It’s hard to stop saying it!! I love it. Sophisticated, unique, still girly and feminine. LOVE! I love every square inch of it! Just precious! I do, too. It’s our new gathering place! what color pink is that?? Mercy! It’s fabulous! Best teen girl room ever. 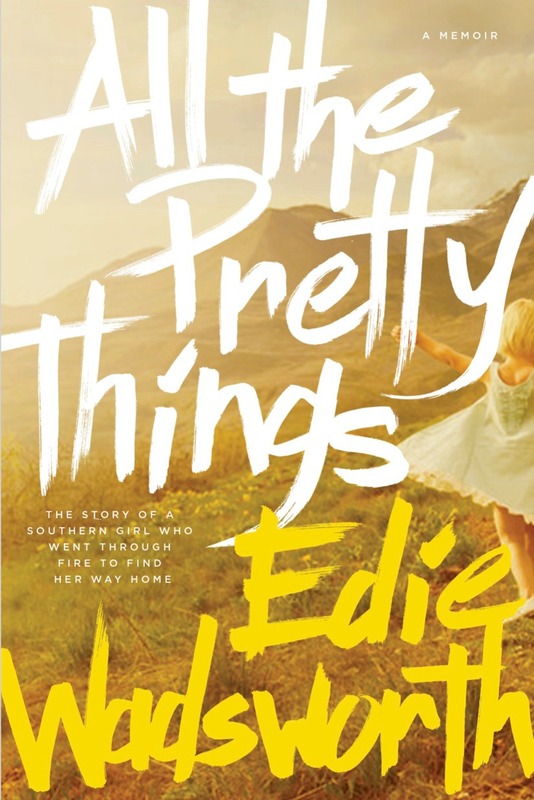 I love how intentional you are as a mother, Edie. Your testimony makes me praise the Lord! Have a GREAT time at the concert! Okay so here’s me reading your posts: I want to see all the photos… but I also can’t tear myself away from the words… so I’m reading as quickly as I can, trying not to miss anything, all the while telling myself to hurry up because there’s photo goodness WAITING. I finally just gave up, scrolled down at all the photos… then went back and read at a leisurely pace. I just LOVED it. I love the way you thought it through and especially the idea that your finger prints are all over the room so she knows you’re not going anywhere. I’m definitely taking notes on that. Thanks for the Mama inspiration. You are so awesome, Sasha! You touch my heart. What a dreamy room! My daughter who is now 19 went thru the Taylor crush, what fun time we had! We got to meet her and watch 2 concerts from the pit. I cried, for my girl to get one of her dreams, and for the pride that Taylor’s parents must feel. I know y’all are having a great time! The room looks wonderful. I love the touches of gold and the disco balls. You’re such a good mama. Love this! We’re moving my oldest into the bonus room over the garage and want to do similar things. Another funny – I have a vanity almost identical to yours. It was my grandparents’ furniture. My grandmother died when my Dad was about 10 so I never knew her, but having the furniture gives me a little connection to the woman that so many people adored. That’s so cool, Kelly!! Of course, I had to risk my life for mine in that best antique in East Tennessee! As creative momma’s, there’s a fine balance between giving our kids what they want and need and our own vision of how we want the room to look. It’s not always easy. So much thoughtfulness and love in this room. I gotta get my hands on a Hey Ya’ll. I know, beautiful, delicate balance! Thanks for the love, Becki!! LOVELY. So beautiful, personal, gracious, & pretty. You could come decorate for me anytime! I love the thought and heart that motivated your choices. Of course, it’s fab-u-lous!!! Love every little bit of it, as I know she does. Great job, Edie!! What I would have given for a room like that when I was a tween/teen. Just lovely. 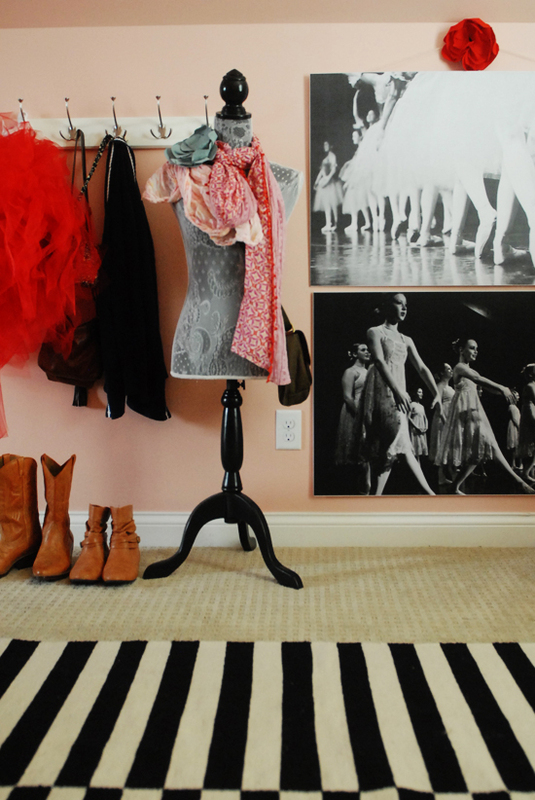 I adore the ballet photos on the walls and the shoes on the bed. My daughter used her pointe shoes and her Fairy Godmother costume from her last recital on the walls of her daughters’ room. And the disco ball? Awesome. I love the room, especially the disco ball. I found some smaller ones after Christmas last year (75% off!!) and bought them for my granddaughters…they loved them. Something about sparkly glass that gets women every time….I so would have been the Indian that encouraged the sale of Manhattan for some shiny beads. 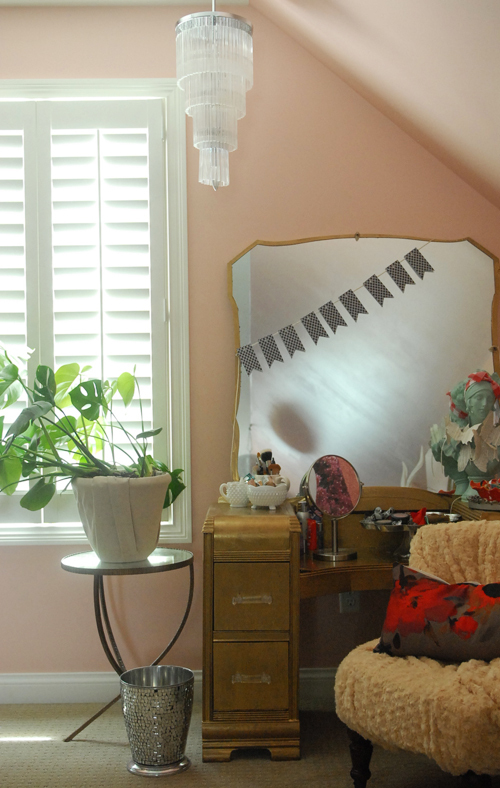 I love this post and it has brought back fun memories of decorating my bedroom as a teen and my daughter’s unique style that she used on hers. 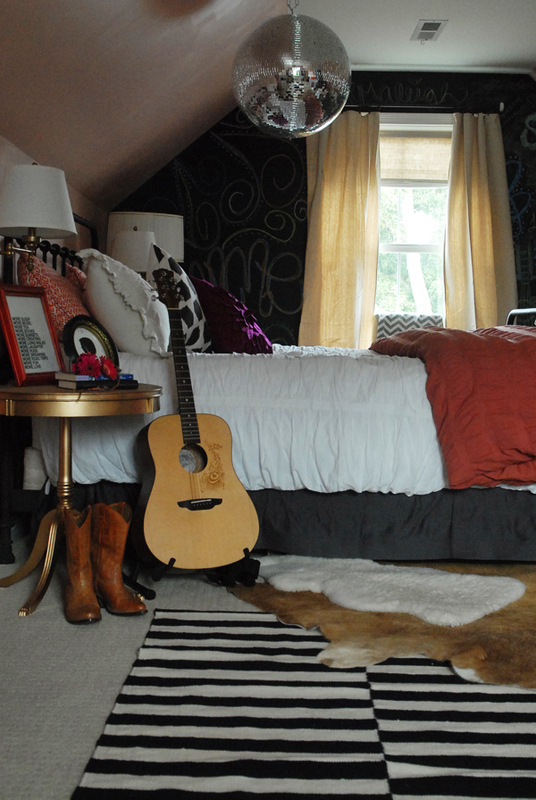 Beautiful room Edie! Your daughter is very lucky! I love the disco ball and the chalk painted wall. I am sure she will love it for a long time. I thing the greatest part of this room has to do with the time and love put into allowing your daughter to grow up and be who she is. So many times we want to imprint who we were or wanted to be but never had the opportunity. My girls played piano because I did but had to stop for financial reasons…so it’s passing the torch. Our greatest gift is love…passing it on and watching it multiply. Congrats for passing on your gift of love….whatever form that may be. You are a blessing to watch and read. Wow….God is and has blessed you…thank you for passing that on to your readers. 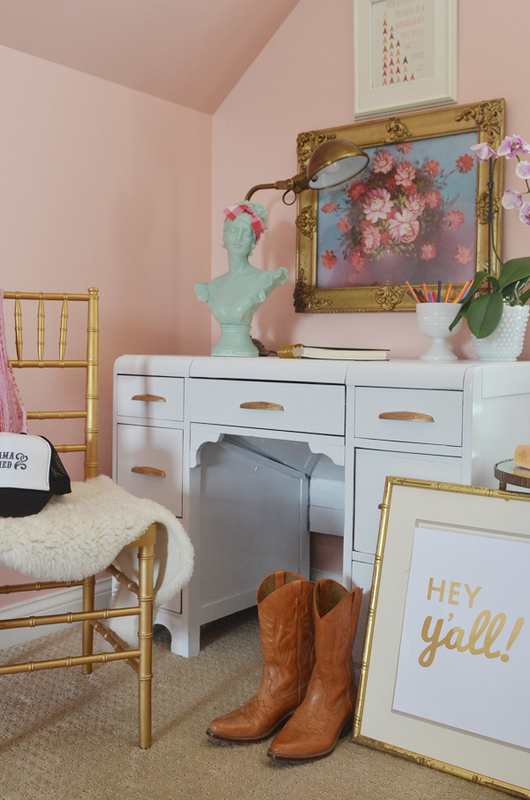 This room is seriously adorable! 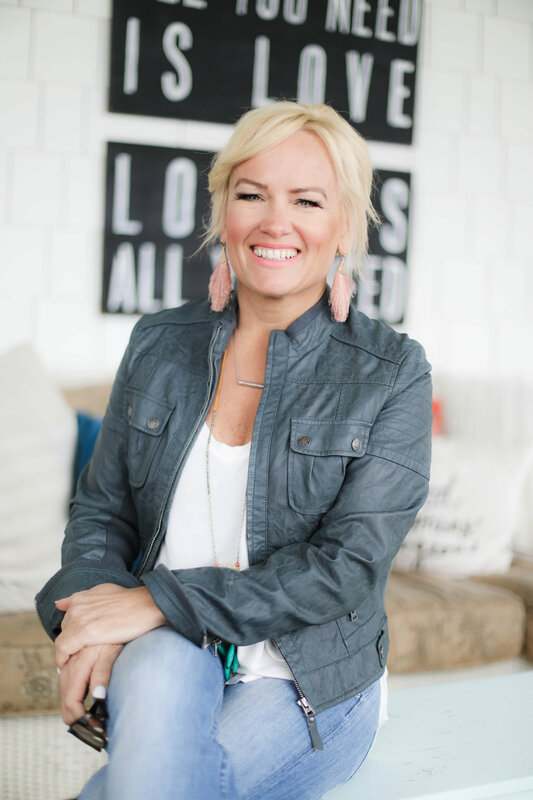 I am a young mother and just discovered your blog through a feature on Sixth Street Design School – I can already tell that this will be a huge source of inspiration for me in so many different ways! I was wondering – where is the print from with the little upward pointing arrows? so sweet! would you share the wallcolor name? this is a fabulous room! I have great intent to finish by teen and tween girls’ room, but without about half the space. Lots of great inspiration here – especially love the plants and disco ball! I just love the color scheme of this room for my daughter. She is bit of a tomboy and she doesn’t like the typical girly colors. Do you happen to know where you purchased the comforter? I’ve been searching online and can not find that beautiful shade of orange. It’s from West Elm! And thank you so much!! I am in love with this room!!! It is absolutely beautiful! My daughter is 9 and begging for a room redo. I wish I had your touch! I LOVE the disco balls! Where did you find them? I love this room! Did you ever post sources? thanks! your blog and outreach is so amazing and useful that i feel a bit awkward asking again about the paint color in this room:) Is it the conch shell that you have used before? in some shots it seems lighter. my daughter really loves it and i am terrible with the colors. I love it!! What is the pink paint color? I might have missed this somewhere (I did re-read it and scrolled through comments) – but what is the paint color you used here? Thanks! OMG! I love this room. 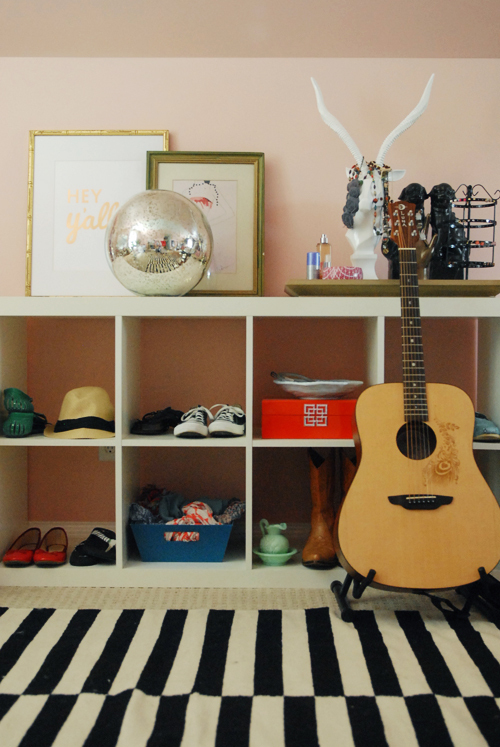 I may need to borrow some of these ideas for my teens new room too! BEAUTIFUL! What color pink is on the wall? I love it!! Hi! I LOVE this room! Especially the bedding! I can’t find it though could you give me the link please? Thanks! Where did you get the bed? Guys, my sister e-mailed Edie about the paint color and she said it’s ‘August Sunrise’ by Benjamin Moore. In addition, it may take a new restaurant several years to reach potential revenue target. These basics are essential to a successful career in real estate. not how much time or physical labor you have in a deal. restaurant which you own both the land and improvements. Commercial real-estate investments can take on many forms. You need to focus on a particular type of real estate investing. Nicely done! I bet, your daughter is very happy and satisfied with her room, especially because her lovely mother designed it. That board is an awesome idea for a teenage or even a kid’s bedroom. Where did you get that furry carpet? It’s lovely. Keep it up! with is deciding which strategy will work best for them. > YOU NEED GREAT CONTENT TO CREATE LOYAL READERS. When done, serve immediately, and cover with juices from crockpot. 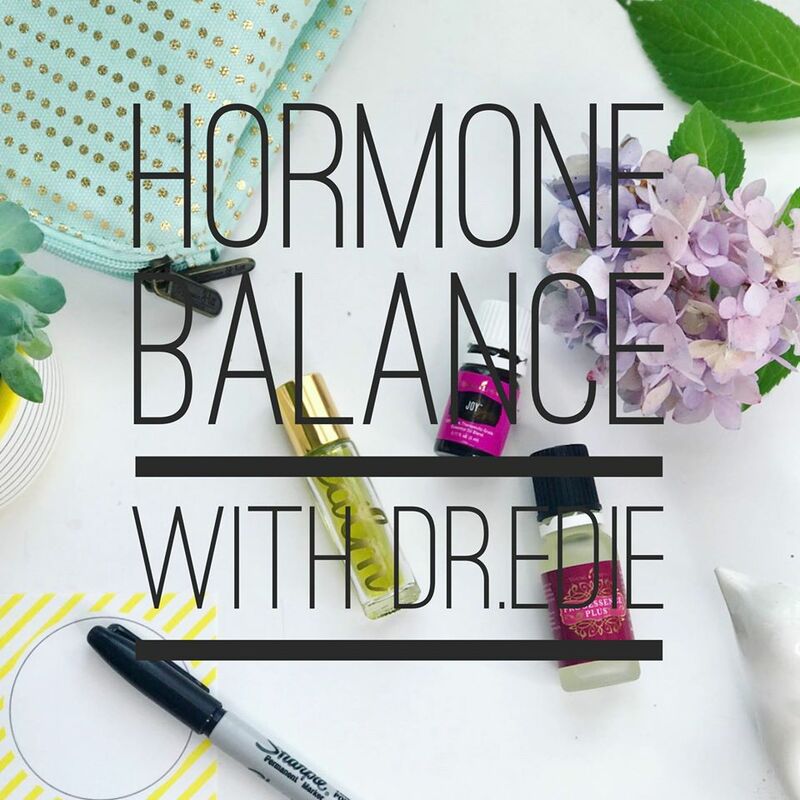 of shedding body fat is basically the responsibility of this hormone. initiated its weight loss program by launching HCG Diet Florida. running to the toilet a lot more often than normal and maybe even during the night. The way you combined old and new, simple and fancy is awesome and makes the room special! 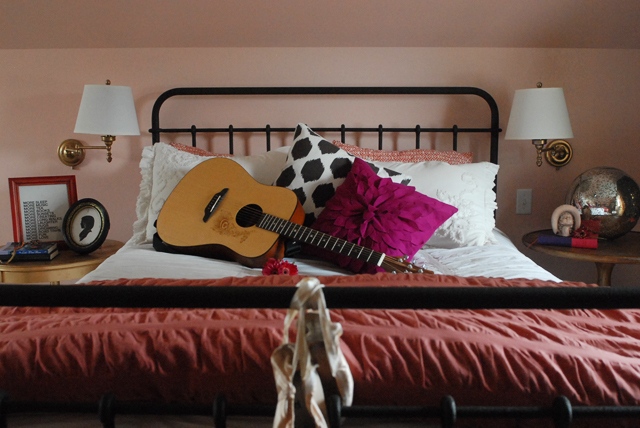 Shades of pink–perfect for a growing teen, and can keep changing with her whims.